Valentine’s Day is about more than candy and romance. It is about celebrating what you love, what makes you vibrant, and what brings you joy. For me, that means celebrating my love of creating. I love bringing you fun tutorials every week and I love creating free printables for you (like the super-sweet kid valentines in this post). Creativity is hard-wired into my existence and since creating this site I am always on the hunt for awesome photos, tools, and resources that I can use to create things for you. I wish I had known about so many of these resources long before DIY Adulation came to be because they are useful in everyday life as well. To help you learn from my regret, here are 5 awesome everyday uses for custom fonts (including the free printable kid Valentines) that I wish someone would have told me about years ago. Digital scrapbooking is great for busy moms because they take a lot less time to create yet still make beautiful custom pages that preserve your family memories. You want the journaling on your pages to look handwritten (although maybe not yours or my handwriting) and still be legible. Custom fonts can do that for you. They can also allow you to create beautiful titles that tie all of your memories together in a theme befitting your family. Want to put those beautiful vinyl sayings on your walls but not loving the $50+ price tag? 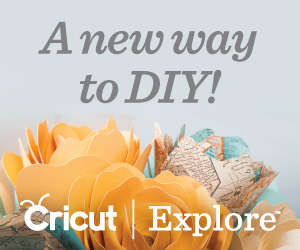 You can design and cut your own for a fraction of the price using your Cricut or Silhouette, both of which allow you to cut your own custom designs. By the way, those vinyl clings are good for more than just walls. 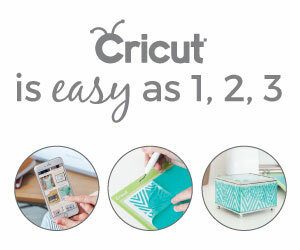 Cut smaller ones to label containers in your pantry, personalize the back of your minivan, and update the numbers on your mailbox! There are a ton of uses here! If you have an upcoming charity event, fundraiser, or just a class reunion making custom shirts is a great way to raise money, get the word out about the cause, or simply commemorate the night. You can totally print these online using a custom font to make your design stand out but that can get pricey. Instead, opt for printing out your design and creating a wax paper stencil to paint the shirts. There are a ton of events during the year that you end up needing invitations for. From birthdays to graduations and weddings, the list seems never ending. Make your own invitations using custom fonts. Not only can you make sure that you get exactly what you want (great for control freaks like me) but once you have your design you can make sure every piece of stationary is coordinated from the invitations and thank you cards to the place settings. Yes, we talked about invitations but let’s expand on this even more. You can makes greeting cards, post cards, and these awesome kid Valentines cards I made for you. You may love creating your own cards so much that you could open an Etsy shop selling your custom designs and make a little extra money on the side for your family. How awesome would that be? Go ahead and download these free Valentines and start getting inspired! Tape a fun size pack of Pop Rocks to the Valentines after cutting them out. Cut along the black lines and place a pencil through to create a useful, non-candy Valentine. Attach temporary tattoos (as pictured) or fun stickers for this one; another fun, non-candy card. If your tattoos or stickers are larger than the ones pictured, tape them to the back of your Valentine instead. Are you ready to start creating your own awesome projects? If you loved the Valentines above (or already have an amazing new project in the works) you can get those fonts along with 37 others for only $29 from FontBundles.net! You also get an extra 15% off exclusively for being a DIY Adulation reader when you use the code “DIY15” at checkout! Oh, and did I mention that the commercial license is included? (If you just squealed a little, that’s okay. I totally did too.) If you’re still not convinced, you can try FontBundles for free. They offer a so you can try before you buy. Seriously, you guys… swoon. Check it out and get your free font now! P.S. If you want to send me a gift for finding you this super-sweet deal, I like watermelon Pop Rocks… Just saying.